It was about time Sephora online launched so that all Aussies could get their hands on some of those coveted brands without having to travel to Sydney. Before Sephora launched they contacted me to collaborate with them for when the site went live. Let's just say it took all my strength to not spill the beans to you guys that Sephora online was about to become a reality but somehow I kept my lips sealed until the launch day and announced it over on Instagram (@JordyCannon). I'm going to get into sharing with you my very first order from Sephora. First up I got my hands on the Becca Shimmering Skin Perfector Powder in "Moonstone" which retails for $60 on Sephora. This cult classic beauty item is a really light highlight perfect for pale skin. It provides a stunning glow without being too overwhelming. 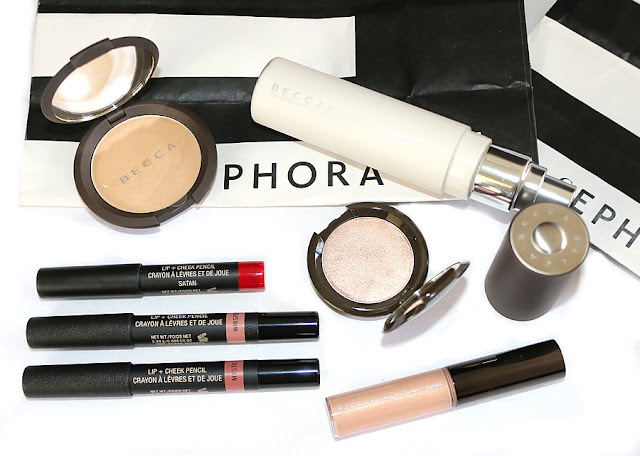 I could not resist picking up the Becca Glow on the Go Set because the little mini sizes are practical and affordable with this set costing just $45. With things like highlighters it isn't always necessary to purchase a large compact of highlight because a little goes a long way. The set includes the Shimmering Skin Perfector Spotlights in Opal and the Shimmering Skin Perfector Pressed in Opal. Next I picked up the Becca Shimmering Skin Perfector in Pearl after hearing so much about the natural glowy finish this gives. When I heard people describe it as your skin but super radiant and healthy I was immediately sold. This product retails for $66 which is quite pricey but for something you can add into foundation or use as a highlight, the versatility is well worth it. Lastly I chose to give NudeStix a go because I love the idea of these being able to be used on both cheeks and lips. I can't wait to give these a go and then report back with my opinions since I haven't heard much about this brand or these products. This set was only $31 for 3 "stix" in the colours Mystic, Whisper and Satan. 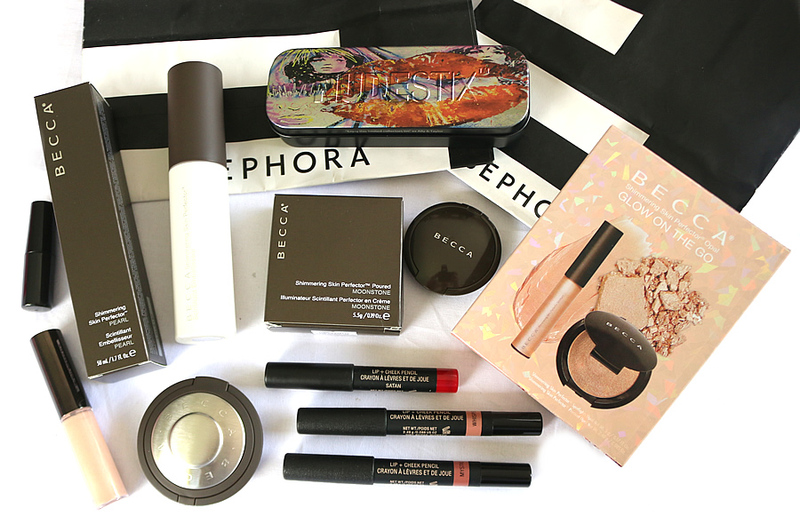 That is my little haul from the newly launched Sephora site! Hopefully I will get some reviews up soon that go in depth with the products individually.